For the calamari: Combine breading mix ingredients and toss with calamari to coat. Deep fry calamari until golden (350°F for about 1 1/2 to 2 minutes, working in batches as needed). 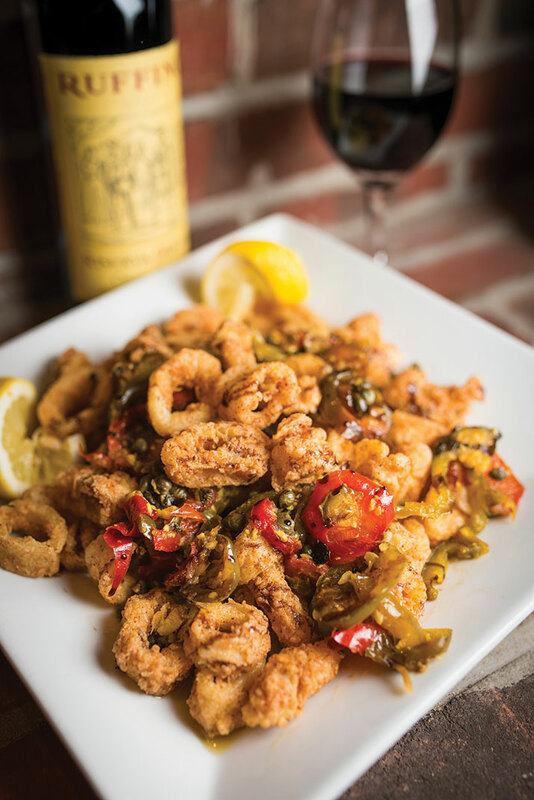 Drain calamari and set aside. For the sauce: Sauté capers and peppers in olive oil, stir in clam juice and hot pepper juice. Cook until heated thoroughly and liquid is reduced slightly. To serve: Plate fried calamari as desired and pour sauce over the top. Drizzle with balsamic glaze and serve.